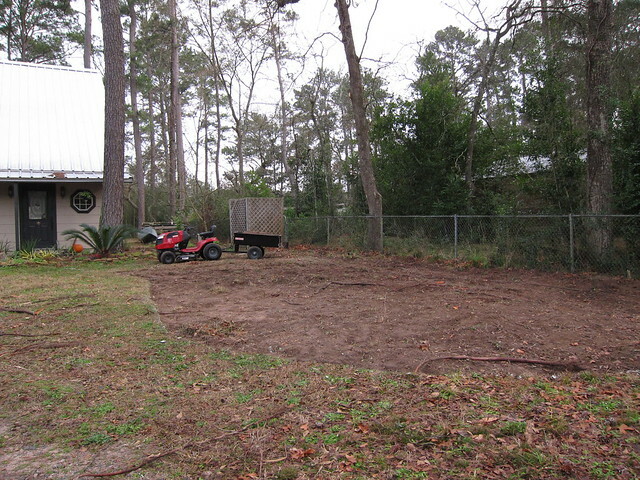 Not long after we moved into our house I started eyeing a spot on the south side of our house and out towards the front of our house as a potential flower garden. 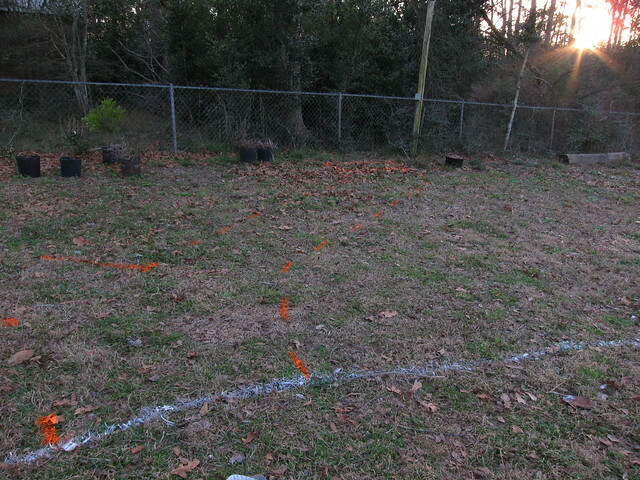 However, in my head this was going to be a long term project, plant in some areas, add more as we moved along. But, throw my husband in the mix and you get a much bigger project! So, currently the plan is to dig out the grass and about 4″ of the top soil in order to remove some of the unwanted debris (lots of rocks! 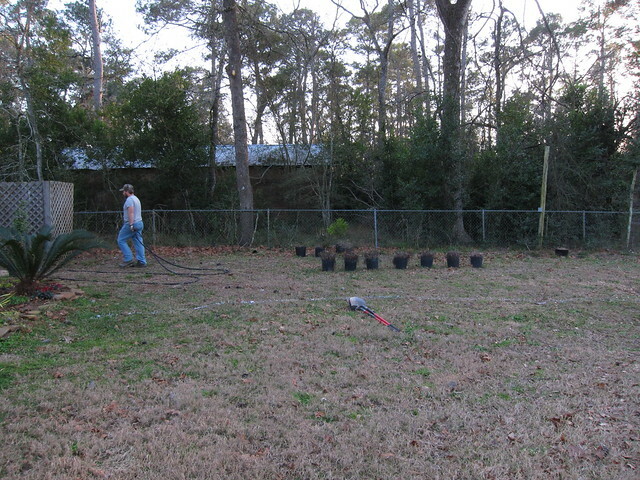 ), install a watering system, re-bury three cables we found (we decided one was phone, another cable, but not sure on the third one), and then bring in good soil to replace the 4″ and then add another 4″. 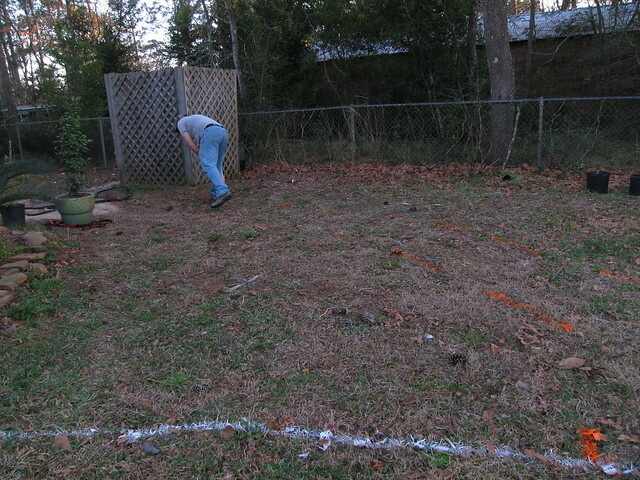 This is about how far we got with it on Saturday…..not nearly as far as we wanted. 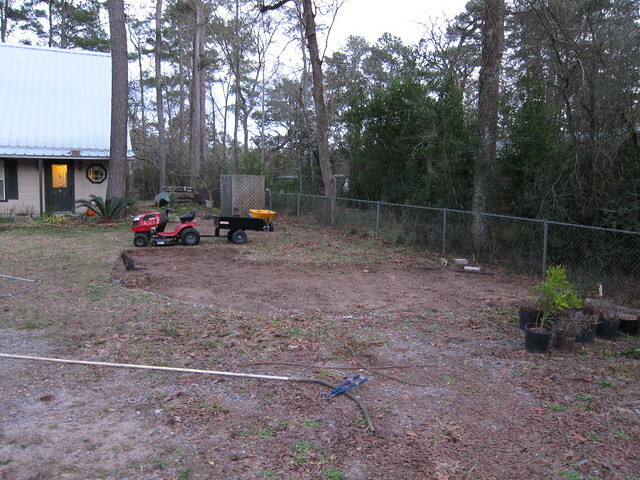 This is highly labor intensive, loosening the soil, digging it out, loading the tractor up and then dumping it in some lower spots in our yard to even it out. Over and over and over again. We got a little further tonight but not as far as we thought we would so we’ll have to work the next few nights to finish up. Then we’ll have to even out the areas where we dug too much or not enough, remove roots, get the edging lined with rocks and then bring new soil in. 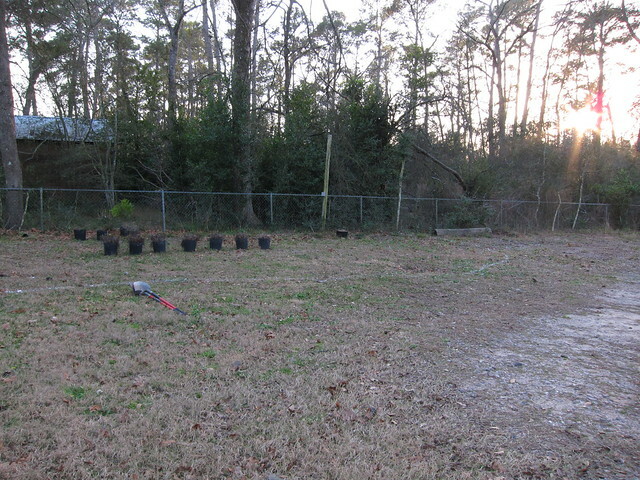 Then….maybe we can start planting! 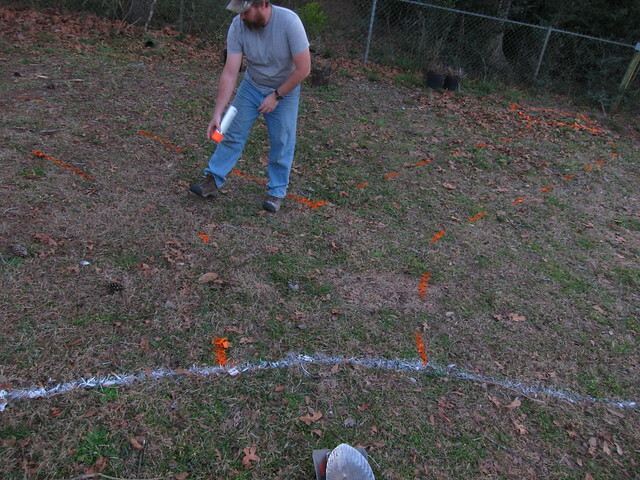 Those garden magazines….they don’t show you all the hard work behind the beautiful landscape design. Wow, that’s HUGE! I’m envious of the size (our backyard is smaller than that!) but not of the work. Can’t wait to see it all done! Looks like you need to invest in a large rototiller! 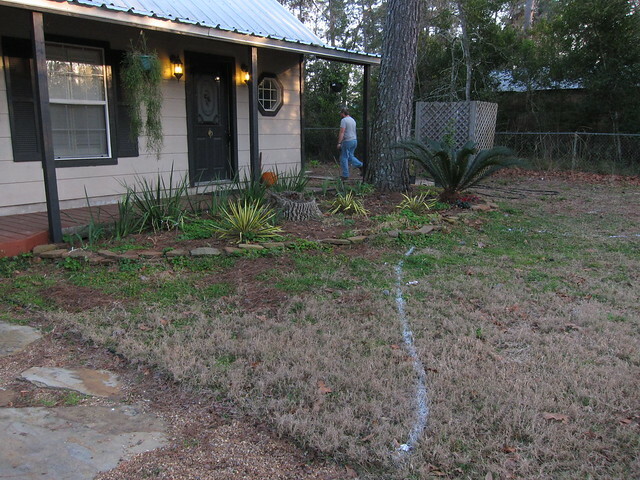 It would go a long way toward making loosening the soil much easier – then all you would have to do is shovel it out. WOW!!!!!!!! That’s a whole lot of work to do! Will be really nice when its done.